Charity founder Brian Burnie walking the entire coast of the Island of Ireland on a six month, 2,000 mile challenge to promote free cancer patient transport. He’s walked over 3,000 miles around the coastline of Scotland, Cumbria, Lancashire, Merseyside and North Wales. 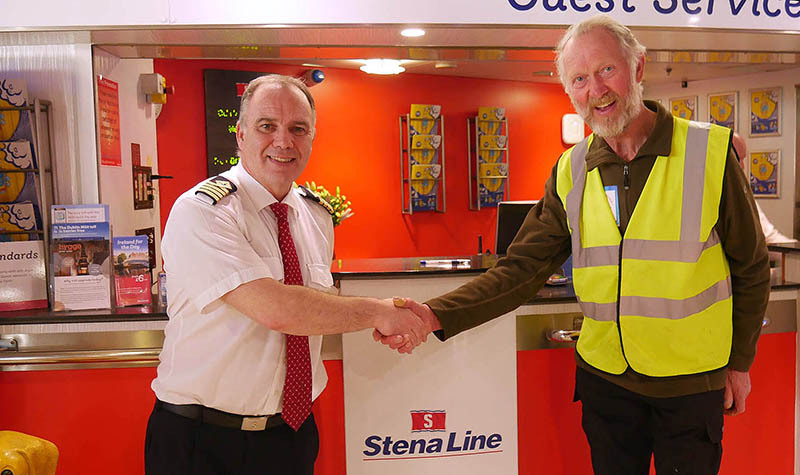 Last week Brian Burnie, 74, arrived in Dublin to continue his 7,000 mile walk around Great Britain and Ireland. Recently married, Brian and Cheryl arrived in Ireland on their challenge to create one million free cancer patient journeys nationwide. 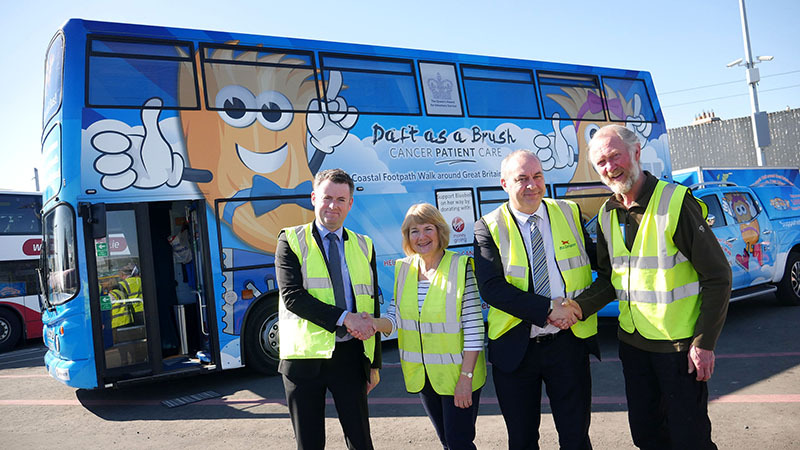 North East based Daft a Brush Cancer Patient Care offers 30 staffed custom-made vehicles to transport outpatients, free of charge, to and from hospital, where they are undergoing chemotherapy and radiotherapy cancer treatment. The charity provides 40,000 cancer patient journeys annually by 350 volunteers. Walking up to 20 miles a day is testing for Brian, who is also dealing with the effects of Parkinson’s disease. “I fully admit I have struggled at times, but chatting to people I meet and the support from my wife Cheryl, really keeps me motivated and determined. Brian’s dream to create 1,000,000 free cancer patient journeys on his 7,000 mile walk is starting to take-shape. With over 3,000 miles walked, he’s prepared for 2,000 miles in Ireland and another 2,000 back to the North East in late 2020.